CueCard is a simple and intuitive flash card program. 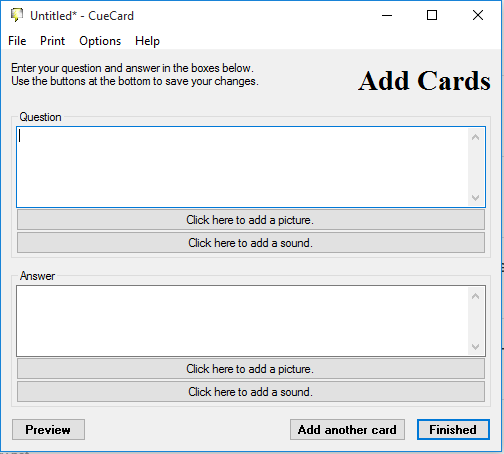 Just make up cards for what you want to memorize, and CueCard will quiz you on them. CueCard features smart testing, which automatically focuses on the cards you are having trouble with. It also offers printing (including custom page layouts and sizes), pictures and sounds on cards, Unicode support, card formatting, a multi-lingual user interface, Import/Export, a study time.